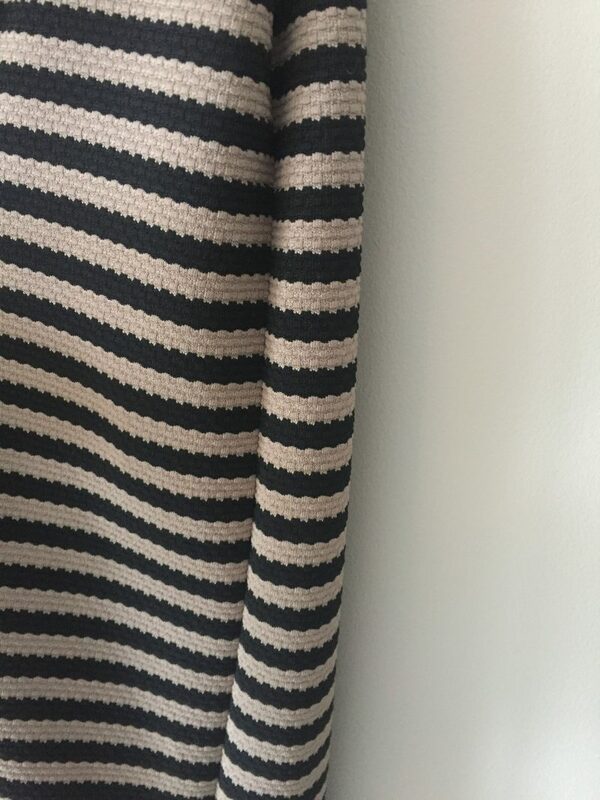 After sewing a maxi dress and a turtleneck top, I still had around a metre of my taupe and black striped fabric left. Turns out when I overestimate what I need, I really overestimate. 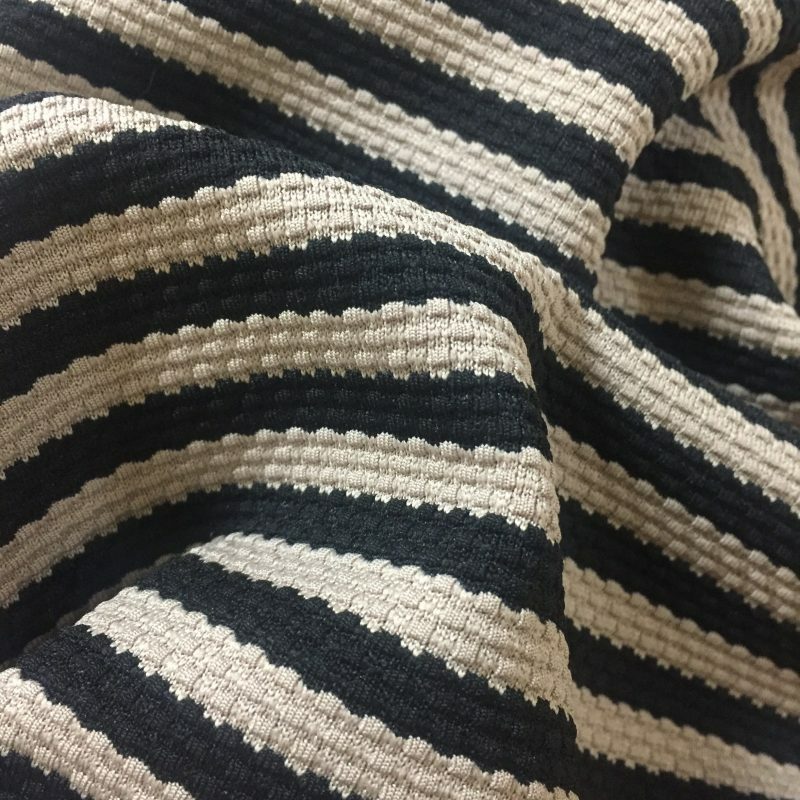 Luckily I love this fabric, so I’m more than happy for another striped addition to my wardrobe! As I’d already made a top and a dress, I decided on a skirt for the fabric that was left. Something to go with my t-shirts. I have always had a weakness for printed t-shirts but now I don’t wear jeans I don’t wear them as much. 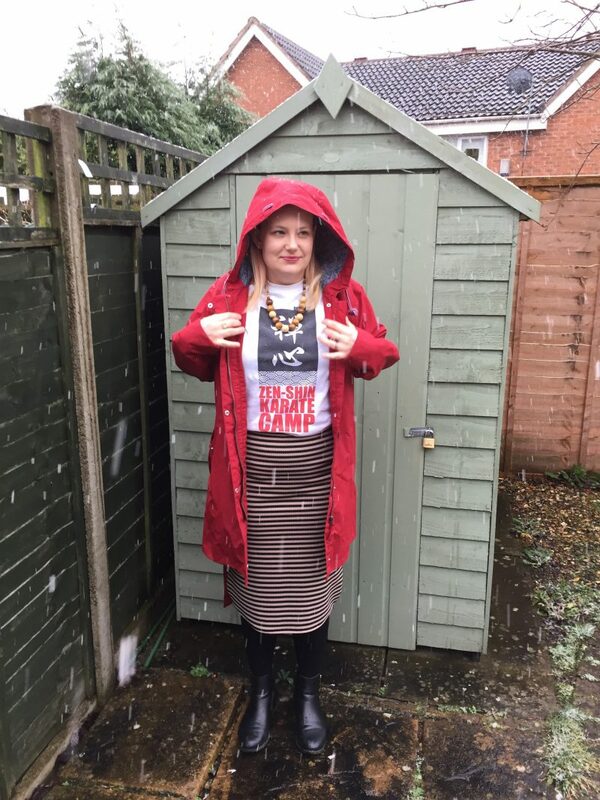 I had this Star Wars t-shirt* for Christmas and definitely need something to wear with it! What Can You Do In Twenty Minutes? There are plenty of things you could do in twenty minutes. Turns out you can also make a self-drafted jersey pencil skirt. Knowing I only had a metre of fabric to play with, a pencil skirt kind of shape came to mind. Usually I prefer skirts with a bit of flare but as I wear my Know The Origin dress so much, I thought I’d try a pencil skirt. I did a quick search (using Ecosia because they plant trees) and came up with a skirt you can make in twenty minutes. 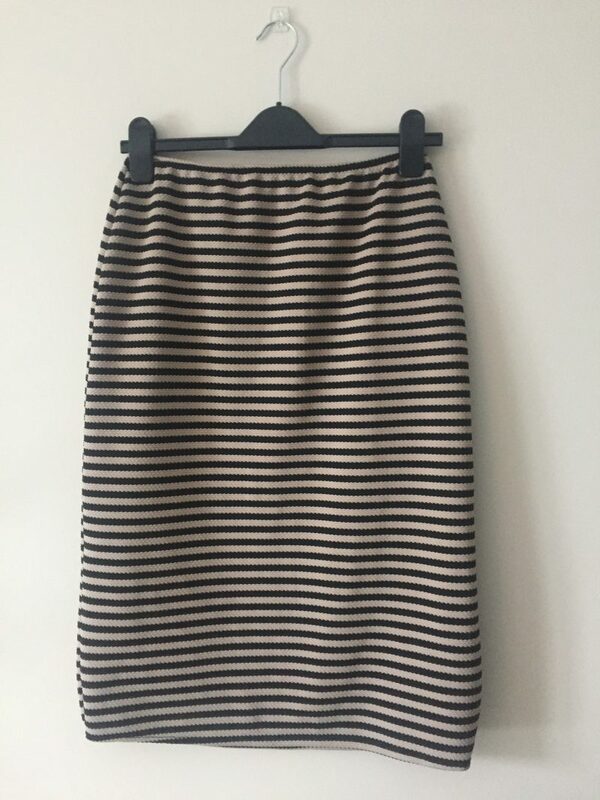 This skirt is literally two rectangles of jersey fabric and enough elastic to go around your waist. Whether you’re a seasoned sewist or a total novice, you could absolutely make this skirt. The tutorial I found is here. Usually I avoid YouTube videos like the plague but this one is pretty good! I sewed it on my Juki, no overlocker needed, and it really did come together in about twenty minutes. I know because I had an episode of Frasier on at the same time! Love that show. This skirt is a perfect project for anyone who is worried about sewing a knit fabric, especially on a regular machine. It’s just so easy. I even managed to match up the stripes! I’m happy enough with my finished skirt and it’ll definitely go with plenty of my t-shirts. I don’t think I’d mentioned it before, but this fabric doesn’t even need ironing. So that just makes this all the more awesome! I admit that it’s not the most flattering shape around my tummy and I might take a bit off the length. All in all though, I’ll wear it and I’m happy with it. I really do need a masterclass in how to pose properly! Loving my new Seasalt coat! Can you believe I still have some striped fabric left? Turns out that 4m really does go a long way. There definitely isn’t enough left for another garment, but I might run up a couple of headbands for the girls. Despite not knowing the ethical origins of this fabric, I do think that I’ve managed to sew very sustainably with it. 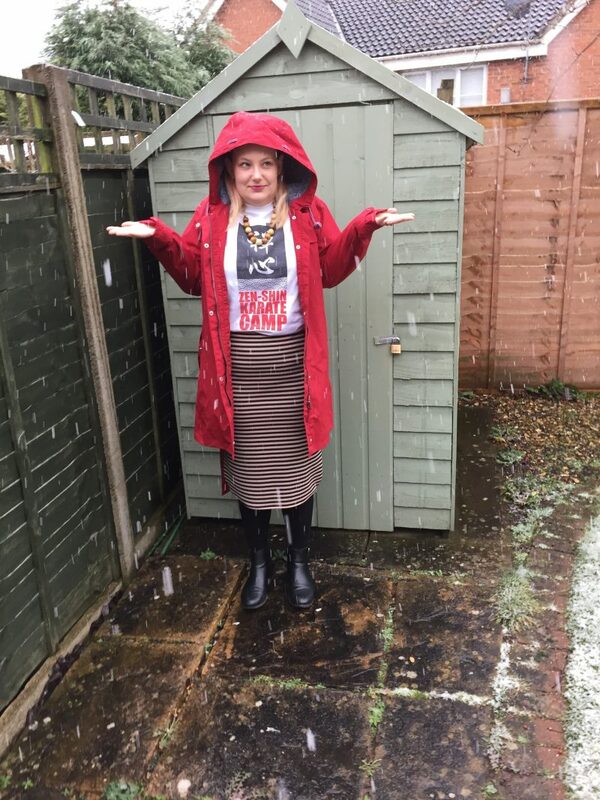 I’ve made three items of clothing that I love and will wear plenty. Especially the maxi dress, that’s on constant rotation! * affiliate link. It will not cost you any extra to buy from this link! 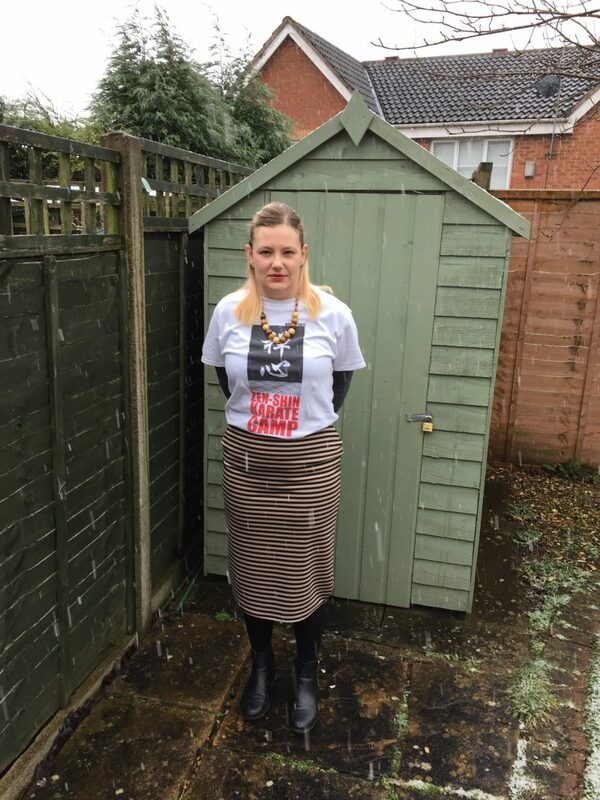 Previous Post Even more Simplicity 1325 t-shirts!